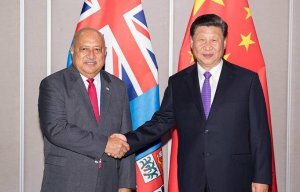 Chinese President Xi Jinping met with the leaders of seven Pacific island countries respectively in Port Moresby, capital of Papua New Guinea (PNG), on Friday. The countries are the Federated States of Micronesia, Samoa, Vanuatu, the Cook Islands, Tonga, Niue and Fiji, which have established diplomatic relations with China. When meeting with President of the Federated States of Micronesia Peter Christian, Xi said he appreciated Micronesia’s commitment to the one-China principle and hoped the two sides will implement the Belt and Road cooperation agreements. The two sides are also committed to making the events of the Year of Tourism between China and Pacific Island countries in 2019 a great success, Xi added. Micronesia attached importance to relations with China, Christian said. Noting that the Belt and Road Initiative (BRI) is vital for the development of the region, he said his country is willing to cooperate with China in expanding trade, tourism and other aspects. On Sino-Samoa relations, Xi called for the two sides to uphold high political mutual trust and continue to support each other in matters involving their core interests and major concerns. 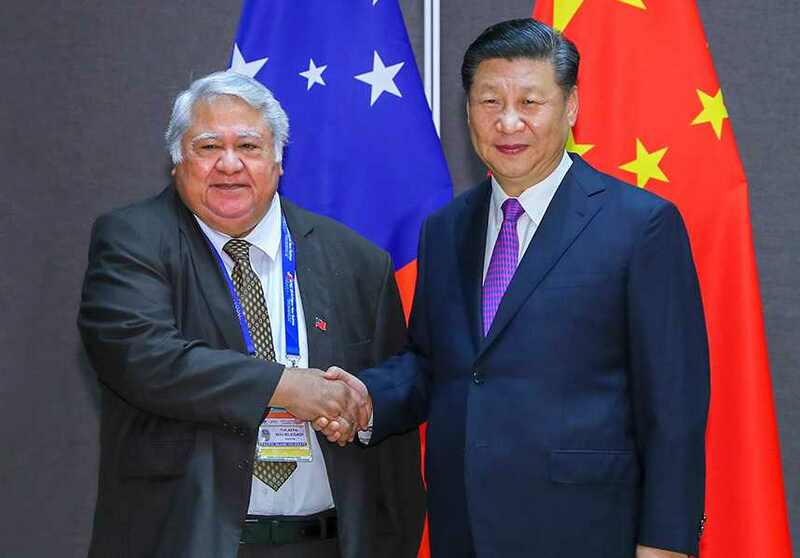 During the meeting with Xi, Prime Minister of Samoa Tuilaepa Malielegaoi appreciated China’s support in areas such as infrastructure construction for his country. The Chinese president also met with Vanuatu Prime Minister Charlot Salwai the same day. 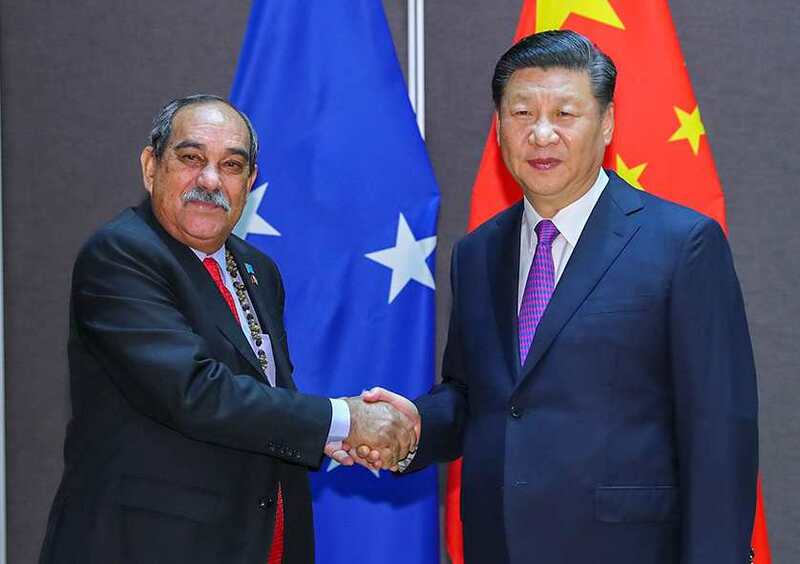 Hailing that the China-Vanuatu ties are at their best in history, Xi stressed his country’s willingness to continue supporting national construction and sustainable development in Vanuatu. 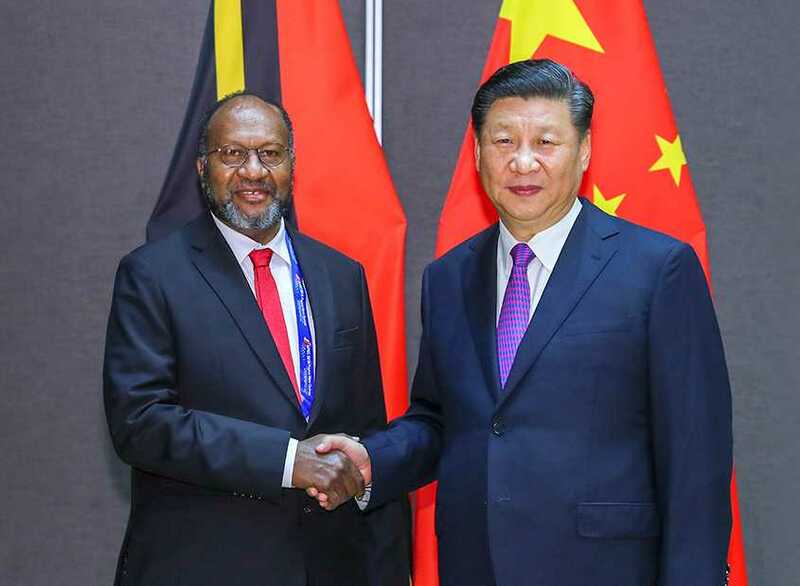 Salwai said that Vanuatu admires China’s achievements in reform and development and thanks China for its long-term help. China is willing to strengthen exchanges and cooperation in the fields of economy, trade and tourism with the opportunity of signing of the Belt and Road cooperation agreement between China and the Cook Islands. 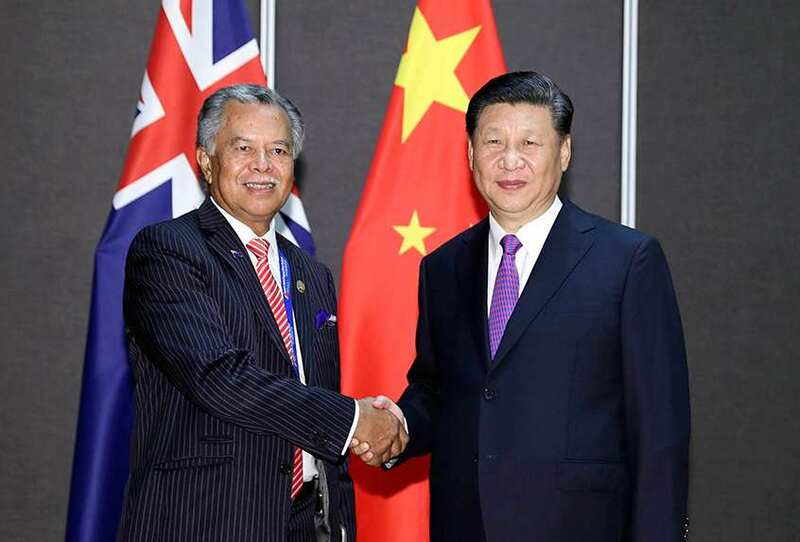 Xi made the remarks while meeting the Cook Islands’ Prime Minister Henry Puna. Pune echoed Xi’s stance on bilateral cooperation, saying the Cook Islands is proud of the good relationship with China based on mutual respect, non-interference in internal affairs and equal treatment. This year marks the 20th anniversary of the establishment of diplomatic relations between China and Tanga. In the past 20 years, the mutually beneficial cooperation between the two countries has yielded fruitful results, Xi said while meeting Tongan Prime Minister Akilisi Pohiva. China always acts as an equal partner for Tonga. 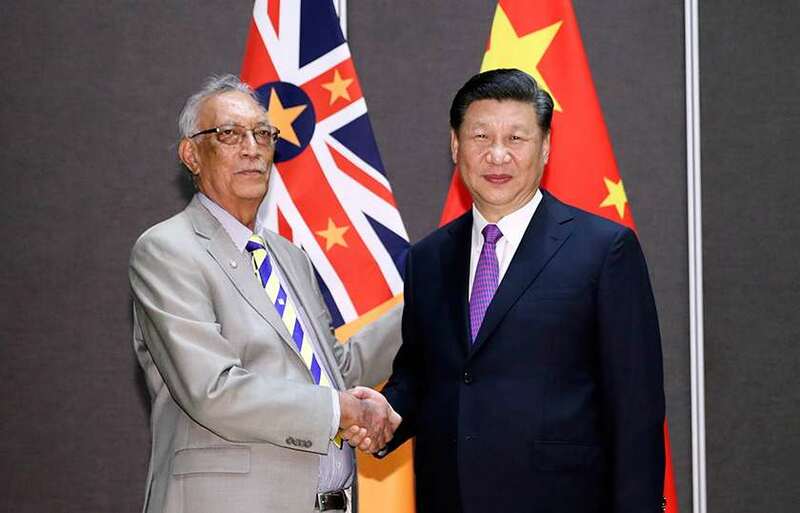 Pohiva spoke highly of it and thanked China for its valuable help, especially the recent visit of China’s naval hospital ship Peace Ark to Tonga. 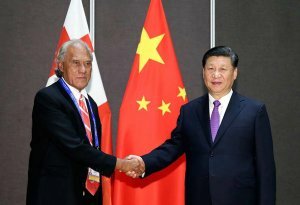 While meeting with Toke Talagi, prime minister of Niue, Xi said that China welcomes the Niue side to actively participate in the Belt and Road cooperation and is willing to strengthen South-South cooperation on climate change to promote green, low-carbon and sustainable development. 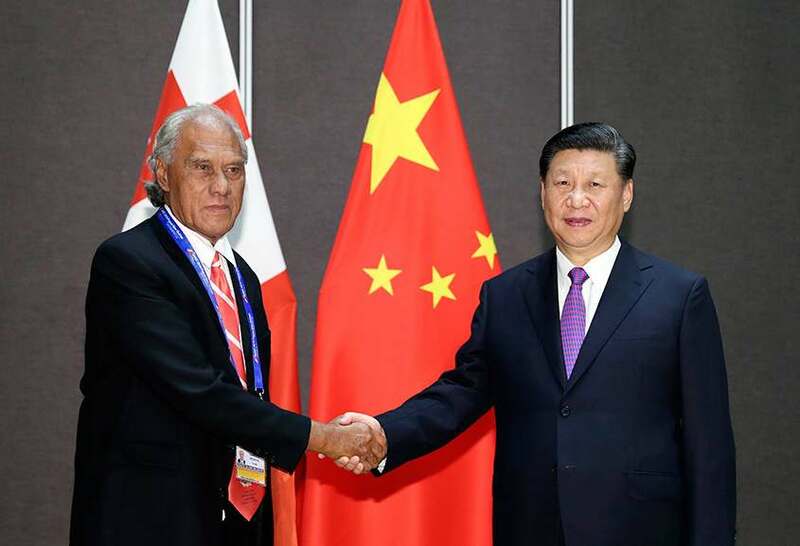 Niue highly valued China’s active efforts for climate change, Talagi confirmed, adding that his country is willing to deepen cooperation with China in various fields. 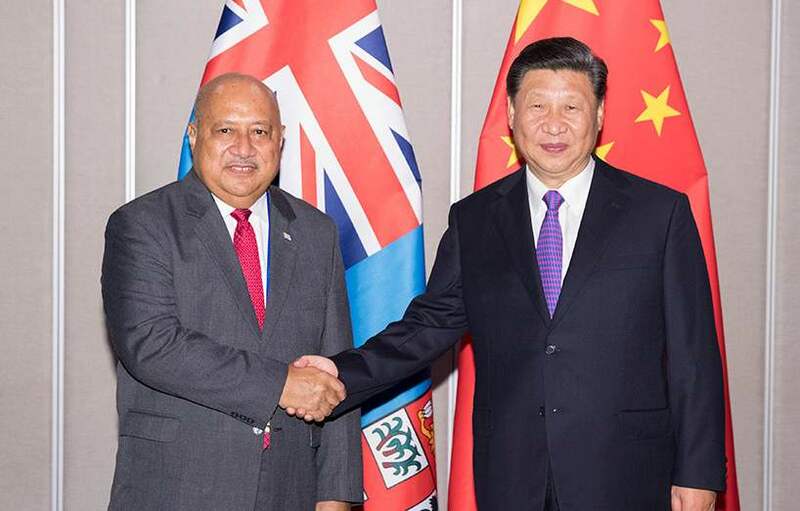 Xi also met with Fijian Minister for Defence and National Security Ratu Inoke Kubuabola. He pointed out that China-Fiji relations maintain a good momentum at present, bringing tangible benefits to peoples from both countries. 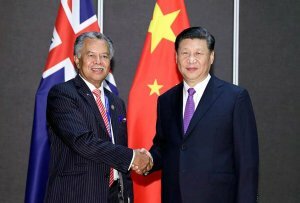 Kubuabola expressed his gratitude to China for its assistance in developing the economy and improving people’s livelihood in Fiji.